Here you can see a list of services we provide, if you require a service that isn’t listed get in touch and we may still be able to help. We regularly work with small builders and private homeowners, ensuring that our customers and clients are provided with the best possible service and solutions at affordable prices. Our scaffolders are fully qualified and we carry out regular internal assessments. With extensive experience and knowledge across our entire team within the scaffolding industry, we have the required capability to provide the right scaffolding solutions at the right time for your project. All work is carried out with the customer’s project requirements in mind. Once your project requirements have been agreed, we will produce your scaffold design. Each of our scaffold designs not only ensure that our clients needs are met, but that the safety and access of all those involved in the project are foremost. We provide commercial scaffolding hire across Leeds, Yorkshire, and the UK. Our commercial scaffolding system is built for speed and versatility. From our Leeds depot, we provide commercial scaffolding hire services for shop fitters and shop fit out contractors. Leeds Scaffolding has provided guardrails and safety solutions to clients across Yorkshire for over a decade. This has given us the knowledge and experience that allows us to provide a high quality and competitive service. 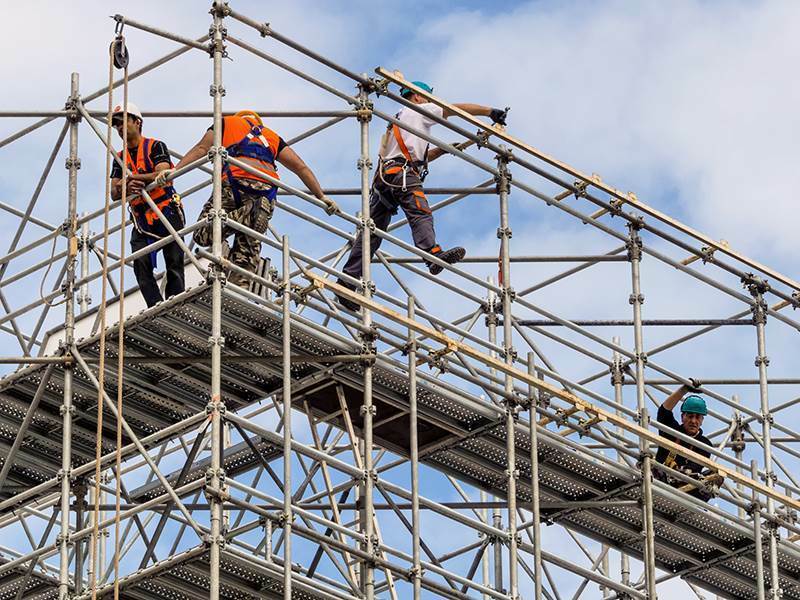 Our professional team are able to provide temporary roof scaffolding in order to provide complete protection from the elements throughout your construction project. Leeds Scaffolding (Yorkshire) are Access Scaffolding specialists. We work with the construction industry to ensure safe access for all. Our expertise includes scaffolding services to the trade,commercial and domestic builders, including new builds and renovations. Our team offer high-quality scaffolding to assist with all kinds of domestic construction projects, for example, private builds, extensions, conversions and exterior property maintenance. All work is carried out with the customer’s needs in mind, from start to finish, we always ensure that all of our work is carried out with the utmost professionalism and to the highest standards as we pride ourselves on keeping our customers happy and delivering their requirements. For more information, give us a call now on 07769668722 or 01132638347 or view our contact page to send an email directly to us.